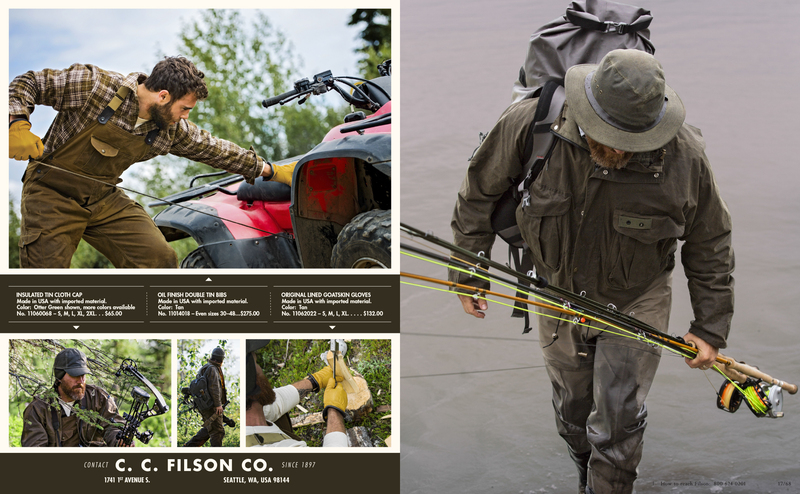 As one of the leaders in rugged workwear, Filson has long been regarded as the pinnacle for those who value dependable products with a legacy of durability. 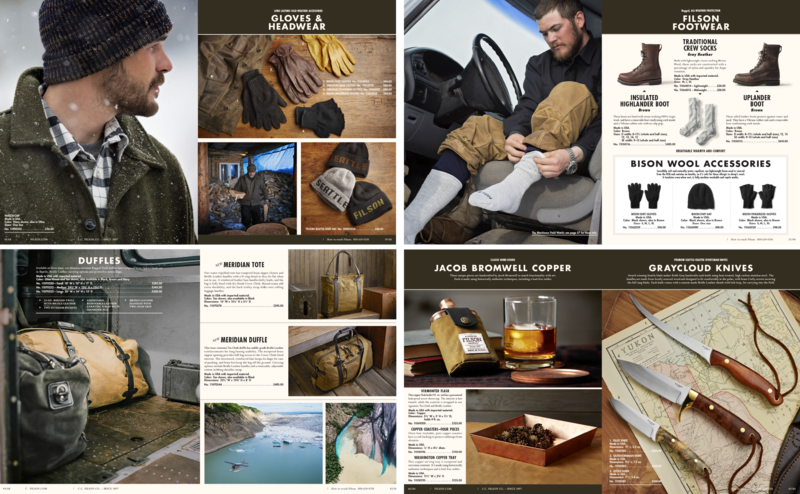 As with any heritage brand, it’s wise to polish the exterior every 100 years, and we were honored to step-in to collaborate with Filson Creative Director, Alex Carleton, to update their print aesthetic, web presence, ad campaign, and video offering. 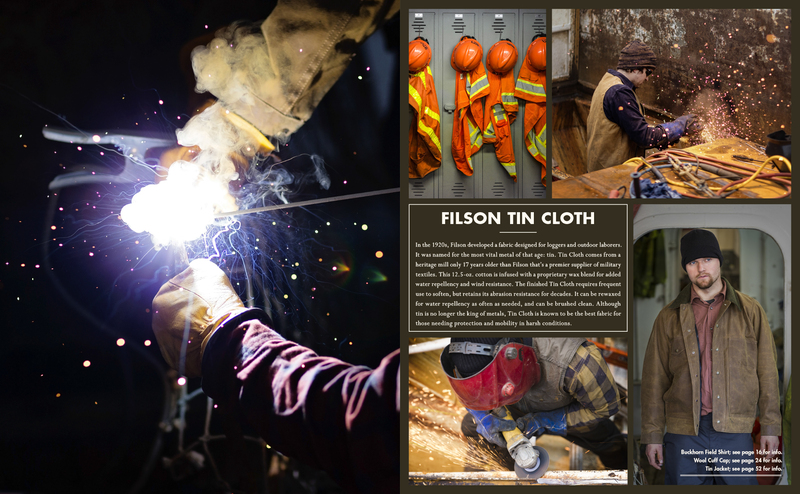 By focusing on a documentary approach, instead of using models, we were able to capture the spirit of Filson from those who best know it’s virtues, those who work in the toughest environments on earth, and those who chose to do it in Filson. 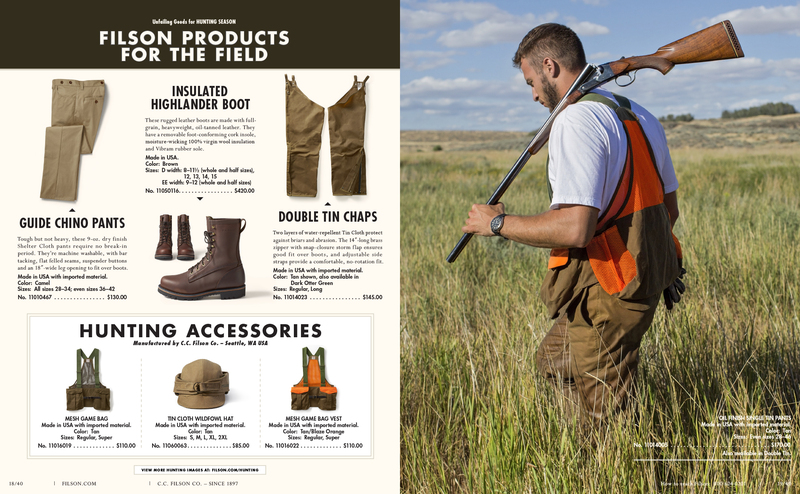 At the core of the Filson brand is a 120 year old legacy of outfitting sportsmen and workers with product built to last through the rigors of working in the outdoors. 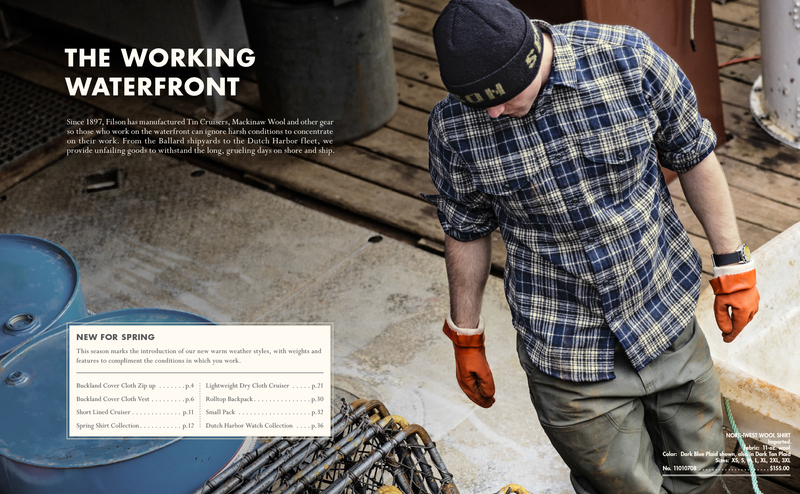 To capture both the eras of Filson’s past and combine them with a bulletproof look for the future, there was only one typeface that fit the bill. Despite it’s release in 1927, Futura has remained a bold, no-nonsense, workingman’s typeface that stands the test of time. 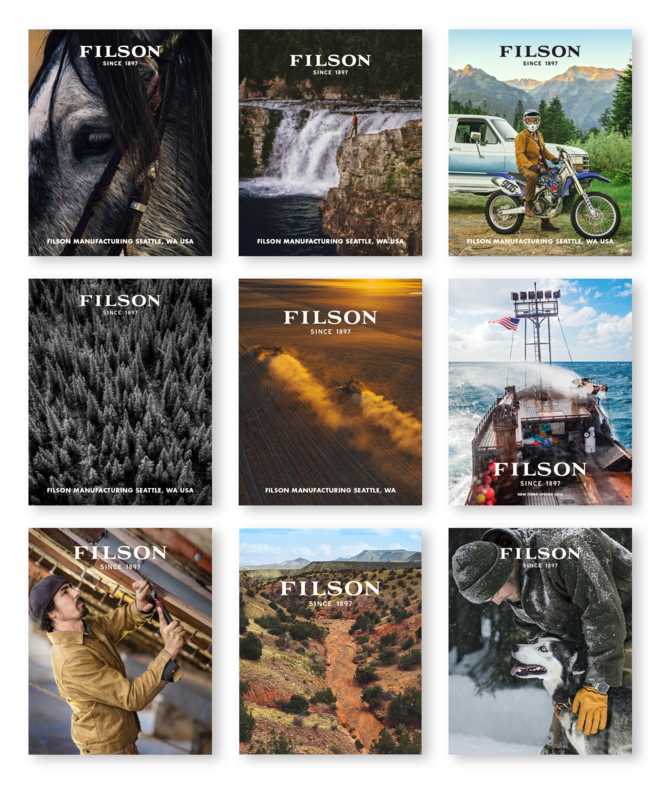 Filson’s in-house team turns-out more than a thousand printed pages a year and required a grid system that was both elegant and efficient. 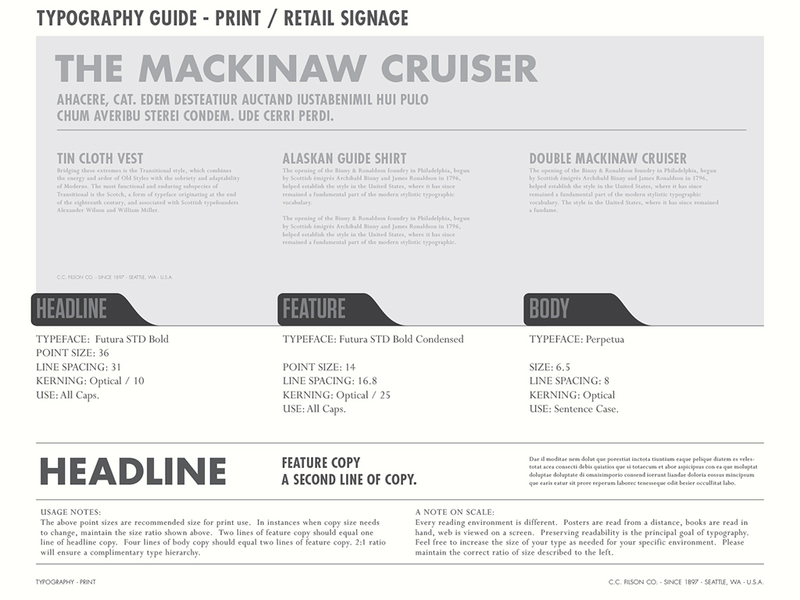 Combining the proportions and rules of the Marber grid with a classic six-column overlay, ensured that any designer could build in a consistent layout while still having the freedom to create expressive editorials. 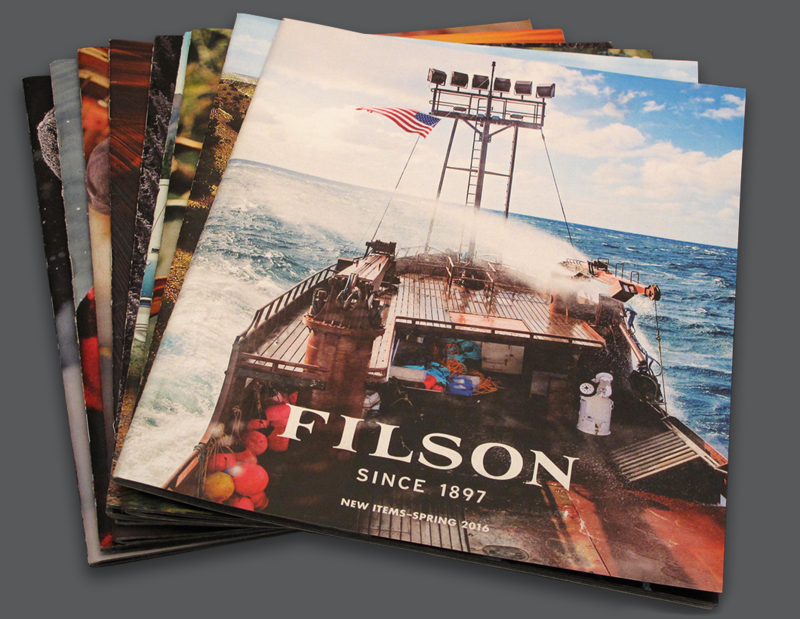 Filson had some great assets in place for bringing photoshoot production in-house. Working hand-in-hand with their producer and photographer we were able to build an in-house production team that was lean, experienced, and capable of shooting in rugged environments that were not feasible for larger production teams. 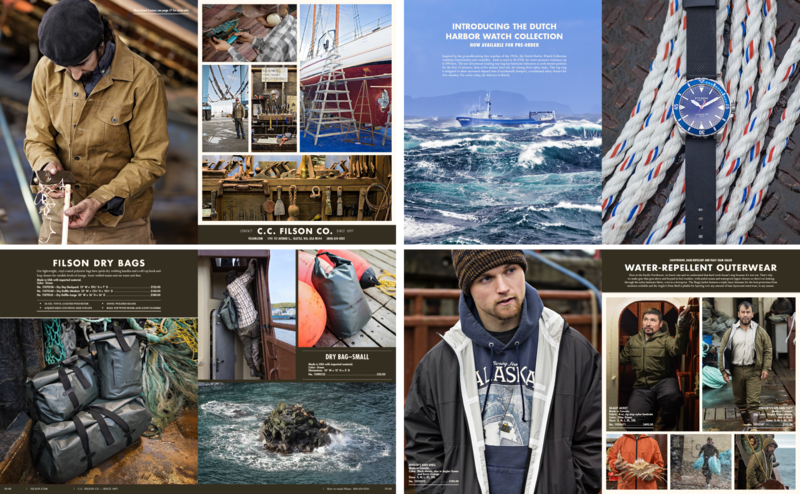 From Alaskan crab boats to weeks in Wyoming, working together on-location shaped a new direction in content for the brand.